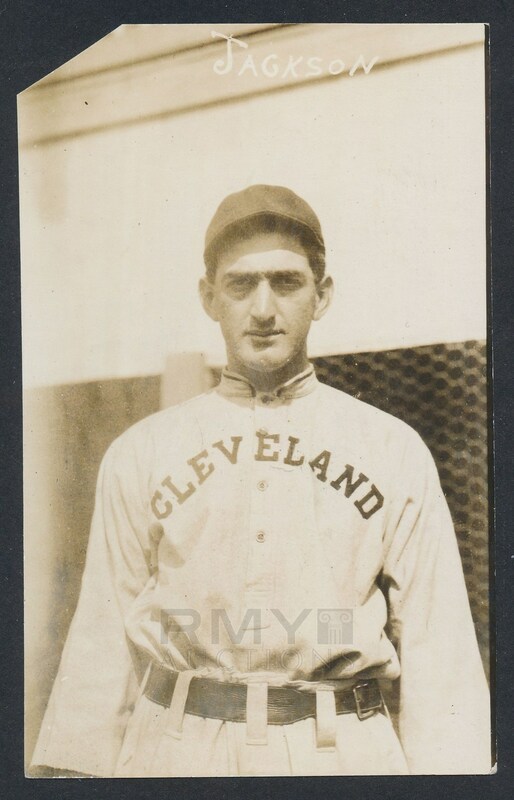 Lot # 1: 1913 "Shoeless" Joe Jackson, Incredible Silver Gelatin Portrait Photo by George Grantham Bain, THE BEST! Even among the best images ever taken of the iconic "Shoeless" Joe Jackson, this one stands above the rest. Snapped from the lens of the celebrated Photographer George Grantham Bain, this silver gelatin photograph of the greatest pure hitter of all time is deep and bold with amazing clarity. In our humble opinion, it is the most beautiful photograph of a youthful "Shoeless Joe" ever offered for public sale! 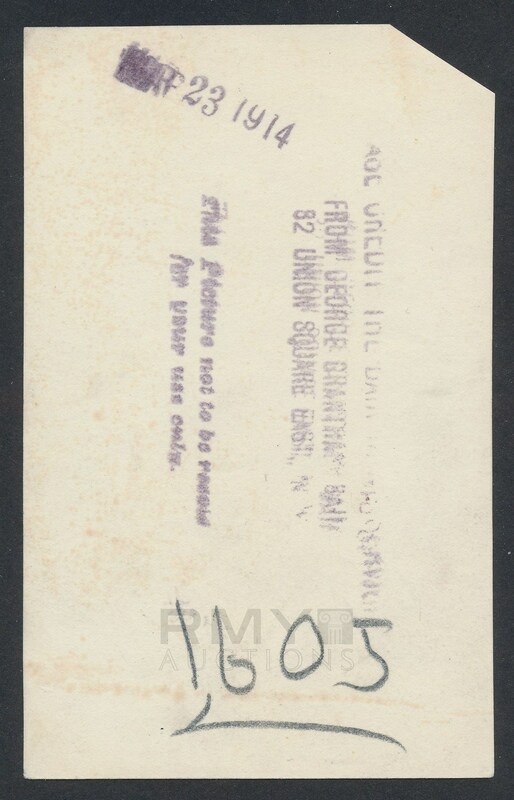 Stamped on the back from March 1914, the image was taken sometime during the 1913 season. The Bain stamp is bold and beautiful on the back of the image. Specimen has a small corner clip from a photo editor at the time but remains in stunning condition for the age. When taking into account subject matter, the photographer, and condition, baseball photos rarely attain this level of excellence! Truly a work of art that will be the cornerstone of even the most advanced collection. Simply the Best Jackson photograph we have offered!